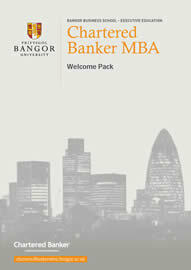 Below you can see a sample Welcome Pack for Chartered Banker MBA which all students receive. Note that is only a sample (showing pages 1 - 25), designed to give you an idea of what the study guides you receive will look like and contain. Click on the below image which will open up an e-book of this.